I’ve pretty much been at a loss of ideas for what to do with this space. I got it about a week ago and have had little to no clue as to what to write about. It’s either due to a lack of ideas or an abundance. I want to have a focus but have an incredibly hard time focusing. So I’m just going to jump in on this. Though my current life is based in Cincinnati, I lived my first 18 years in the DC metropolitan area. As a child I was always fascinated by the one specific cluster of buildings located at the very edge of Silver Spring, MD. The National Park Seminary was always seen by my child-eyes as a magically dilapidated place. It looked like something out of some creepy fantasy movie. Originally a old-timey resort (think “The Road to Wellville”) it went through many changes including a ritzy all-girls school and rehabilitation center for soldiers wounded in WW2. By the time I was born though it was in its umpteenth year of disrepair. Ivy and other assorted plants had assumed control of the buildings and it was more of an animal sanctuary than a place for people. Despite its government protection, it was left alone, subject to Mother Nature. In recent years its been rehabbed as condos. Thankfully, as far as I know, they’ve retained many of the original structures. Unfotunately they’ve also littered the compound with new houses which kinda ruins the “what did I just stumble on” magic of the place. 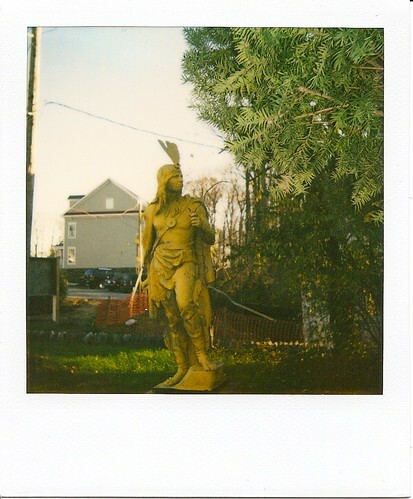 In the end, I’m happy someone has taken over the property, it was and is an incredible place. The building that surround the main structure are all modeled after international styles. 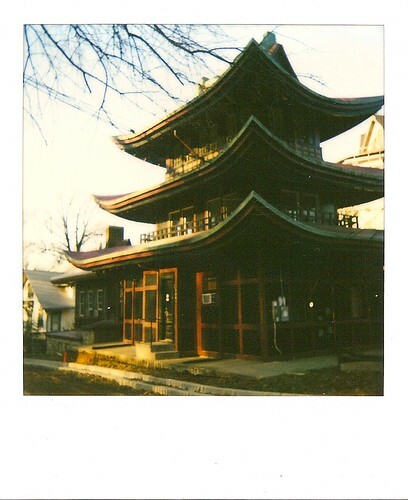 There is the dutch windmill building, the chinese pagoda and the greek ampitheater. If I still lived in DC, I’d be fighting tooth and nail to get into one of these units. My 120 year old house here suits me just fine though. Below are some pictures of the Seminary. 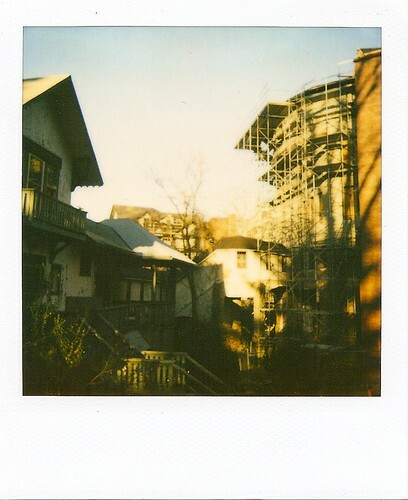 First is a small cluster of images from its heydey and then some polaroids I took when I visited the place during the early stages of its rebuilding. I’ve got a few more pictures here and there are bunch of the old-timey photos as well as more detailed “disrepair” photos at the Seminary’s site. As a bonus treat, here’s Dead Meadow’s video for “At Her Open Door” which was filmed on the grounds. Foooooooooog Machines! So that’s the first entry. It was kind of meant just to get me started. This could create a theme or, most likely, won’t at all. Don’t be surprised if the next one is entirely off this “old buildings” topic. Focusing is hard. 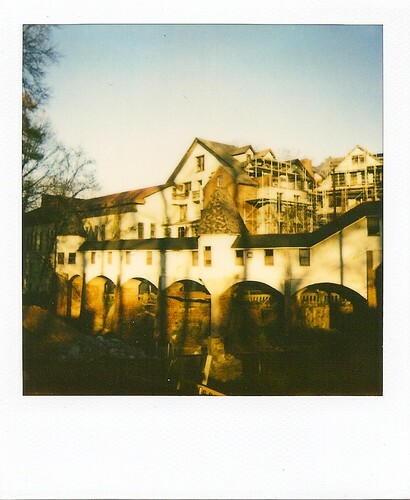 This entry was posted in Architecture and tagged Awesome, Dead Meadow, Maryland, National Park Seminary, Polaroids, Silver Spring. Bookmark the permalink.